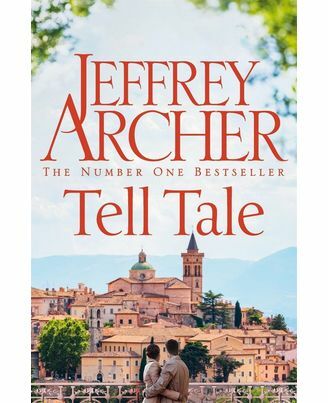 Master storyteller Jeffrey Archer returns with Tell Tale, a new collection of brilliant short stories. 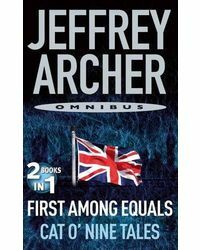 Poignant, engrossing and captivating; this is Archer at his spellbinding best. Nearly a decade after his last volume of short stories was published, Archer returns with his eagerly-awaited, brand-new collection TELL TALE, giving us a fascinating, exciting and sometimes poignant insight into the people he has met, the stories he has come across and the countries he has visited during the past ten years. Find out what happens to the hapless young detective from Naples who travels to an Italian hillside town to find out Who Killed the Mayor? and the pretentious schoolboy in A Road to Damascus, whose discovery of the origins of his father’s wealth changes his life in the most profound way. Revel in the stories of the 1930’s woman who dares to challenge the men at her Ivy League University in A Gentleman and A Scholar while another young woman who thumbs a lift gets more than she bargained for in A Wasted Hour. 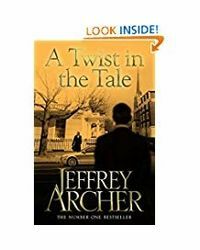 Master storyteller Jeffrey Archer returns with Tell Tale, a new collection of brilliant short stories. Poignant, engrossing and captivating; this is Archer at his spellbinding best. Nearly a decade after his last volume of short stories was published, Archer returns with his eagerly-awaited, brand-new collection TELL TALE, giving us a fascinating, exciting and sometimes poignant insight into the people he has met, the stories he has come across and the countries he has visited during the past ten years. Find out what happens to the hapless young detective from Naples who travels to an Italian hillside town to find out Who Killed the Mayor? and the pretentious schoolboy in A Road to Damascus, whose discovery of the origins of his father’s wealth changes his life in the most profound way. +AS401Revel in the stories of the 1930’s woman who dares to challenge the men at her Ivy League University in A Gentleman and A Scholar while another young woman who thumbs a lift gets more than she bargained for in A Wasted Hour. 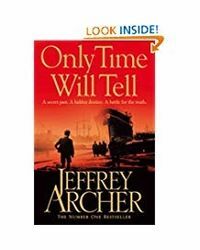 These wonderfully engaging and always refreshingly original tales prove not only why Archer has been compared by the critics to Dahl and Maugham, but why he was described by The Times as probably the greatest storyteller of our age.